Every winning proposal includes a description of how the program will impact the people being served. Funders want to know that their grant is making a difference in the community and how you’re measuring your impact. If you want to convince them your arts program is worth funding, you need to demonstrate that you’ve been tracking progress by providing qualitative and/or quantitative evidence of program effectiveness. Aside from simply stating that you’ve been achieving program outcomes, how else can you articulate your impact and demonstrate you are a credible partner to consider? As a key first step, ask, “What constitutes success to the funder?” The answer may be found by paying close attention to the priorities the funder has outlined. These priorities might include promoting accessibility to the arts or providing arts education and outreach. You’ll want to highlight how your program’s successes and goals are aligned with the funders’ mission and activities. 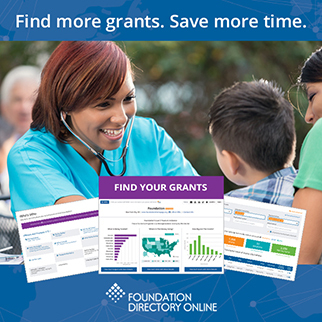 For insights into grantmakers' giving, try researching them on FDO to learn about their priorities and mission, and keep updated on how they change over time. Your grant proposal should indicate specific metrics your program is aiming for. These quantitative outputs might include the number of performances or exhibitions. Be sure to select SMART goals (specific, measurable, attainable, realistic, and time-related), so you can realistically report your successes in this area. The same metrics from your grant proposal will be compared to your reported outcomes to determine if you met, exceeded, or didn’t meet your goals. In addition to the quantitative measurements, a funder wants to know how the grant award will help you to achieve short- and long-term outcomes by changing the perception, behavior, and knowledge of program participants. Using qualitative evaluation tools such as client satisfaction surveys or program participant interviews allows you to collect and report on these results. You can also use the information you collect to build the case in future proposals for why your program should be funded. It is important to stay up to date on the latest research on evaluation tools and methods for assessing the impact of programs. Both funders and grantees benefit from services such as IssueLab Results, a collection of reports and methodological guides focused on evaluation. Using these tools helps you to be prepared to write a comprehensive and compelling grant proposal. Once you’ve received a grant, ongoing communication with foundation staff is key to reporting successful results. A funder does not want to discover major changes to program expenditures or to the program timeline through the final report. It is best to contact foundation staff ahead of time to determine if a formal request is needed to make major changes before the grant period is up rather than after the fact. Delay or lack of communication regarding changes that affect the grant can affect future funding with the grantmaker. Beyond writing grant proposals, your organization can use the data collected through various evaluation tools to reflect on what works and what doesn’t. You should use your evaluation results to assess whether activities are being carried out as intended, determine if the quality of your program needs improvement, or confirm the target population is being served. From there, you can tweak your program based on valuable feedback. By communicating challenges and demonstrating how you will use the data and feedback you’ve collected, you demonstrate that your organization is committed to strengthening your capacity to serve. It can be difficult to articulate the impact of your arts program, but it doesn’t have to be impossible. You can use the tips above and various evaluation tools to tell the story of what your programs are accomplishing. With this story in hand, you should be able to write a compelling grant proposal.